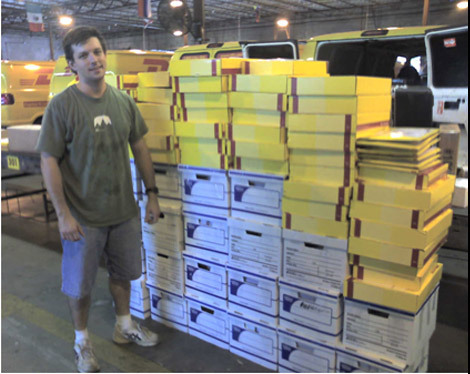 Statewide Field Offices – Our sister lobbying arm Florida Family Action operated 10 field offices and 25 staff were hired to deliver the evangelical vote in Florida. 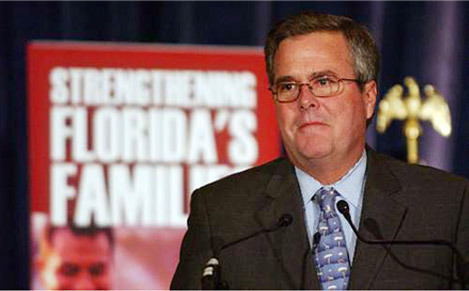 Data from Pew Research shows a 6% increase in the Christian vote in Florida over 4 years ago in 2008. Florida Family Action and thousands of volunteers made a difference! Radio Ad Campaign – Daily educational radio ads were aired on Christian, News Talk and Country radio stations from August to November informing voters of election information and other alerts. You can listen to some of those ads here. GOP Convention Prayer Rally – A historic prayer rally was held in Tampa right before the Republican National Convention in August. The rally was attended by about 2,000 people, streamed online, and appeared on cable television. Speakers included Michele Bachmann, JC Watts, David Barton, Phyllis Schlafly, Rick Scarborough, Mat Staver, Jim Garlow, Bishop Harry Jackson, John Stemberger and many others. This was the most powerful event the FFPC has ever organized. Victory in Defeating Jacksonville Gay Rights Ordinance – The FFPC was involved in helping the clear thinking citizens of Jacksonville organize, and then achieve a significant victory in defeating a gender identity and expression ordinance in that very large city which would have affected landlords and businesses. The so called “non-discrimination ordinance” would have required Christians to violate their convictions. This was a MAJOR victory we had the privilege of taking part in. Citizen Magazine – Focus on the Family’s national CitizenLink Magazine featured FFPC President John Stemberger as their cover story and ran an in-depth and personal story about our President’s journey that brought him to lead the pro-family movement in Florida. The article also highlighted some of the legislative successes the FFPC has accomplished, protecting life and positively affecting Florida Families. Major Social Media Expansion – Our social media support tripled this past year with FFPC Facebook “likes” going from just over 1,000 to over 3,000. Like us on Facebook here. Our Twitter followers have also grown considerably in 2012. We are @FLPolicyInsider on Twitter. Judicial Voter Guide – The FFPC Judicial Voter Guide products made available online and distributed statewide were by far the best and most popular product of the several types of voter guides we produced. Between all the versions of our voter guides, both printed and online, for the general and primary elections we estimate we reached well over 4 million voters with these valuable information-based voter tools. Orange County School Board Battle – In late December 2012, School Board Chairman Bill Sublette unilaterally calendared a “gender expression and identity ordinance” after telling School Board members he would bring it up in January 2013. He deceptively labeled the matter as “Educational Opportunity” in hopes of railroading the rule change through. With only days’ notice, FFPC sprang into action and organized a press conference of parents, packing the house for the School Board meeting. Despite our emergency efforts, the rule change that will allow male transgendered students to use female bathrooms and showers passed 6-2. In the process John Stemberger debated Representative Joe Saunders, Florida’s first openly gay state legislator, on a local Fox TV station. A video of that aggressive 3 minute exchange can be seen here. Sponsored or Co-Sponsored over 30 Pastors’ Conferences – In addition to our flagship conferences with Wayne Grudem in six Florida cities, our president John Stemberger spoke directly to audiences of over 3,000 Florida pastors and their spouses at more than 30 conferences in 2012. 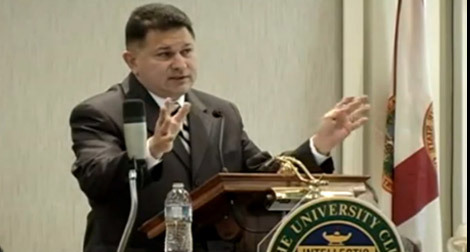 View video clips from Wayne Grudem’s historic lectures on the five wrong views Christians have of politics here. Annual Awards Dinner and Jacksonville Rally with David Barton – Our very popular Annual Policy Awards Dinner featured historian David Barton only days after his zenith of being the number-one search name on Google. 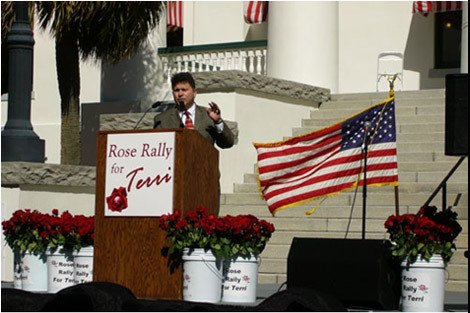 This was one of our most successful dinners and the next day we held a rally in Jacksonville featuring Barton. Hear the official video greeting given by Governor Rick Scott at the Jacksonville Rally on our YouTube channel. Defeated the Casino Industry’s Expansion Attempt in Florida – The FFPC led the charge in 2012 to oppose expansion of casino gambling and held the first major press conference in Tallahassee opposing the massive proposed expansion of gambling with a coalition of other faith groups including the Florida Catholic Conference and Florida Baptist Convention. Other major organizations like the Chamber of Commerce followed with all of Florida’s statewide elected cabinet members, law enforcement and many other leaders and organizations. Both legal attacks by Muslim Lawyer resolved and dismissed! Worked behind the scenes with attorneys and city commissioners to craft and pass the most restrictive adult entertainment ordinance in the City of Orlando’s history. Fought back massive statewide gambling expansion in Legislature. 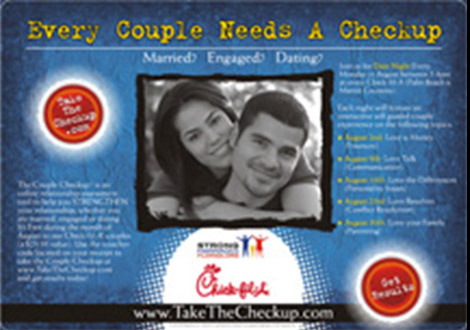 Helped organize Chick fil-A Live-Love-Lead Rallies in Central Florida to promote Strong Marriage Florida with over 6,000 people in attendance. 61.9% of Florida voters vote “Yes on 2” passing the historical Florida Marriage Protection Amendment! 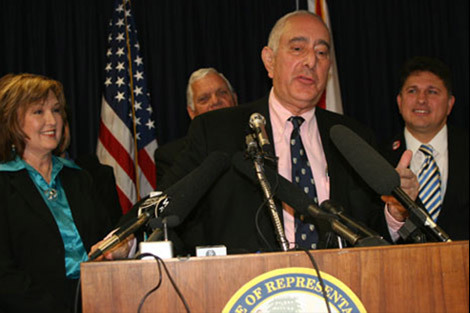 Led a coalition of pro-family groups in getting a bad bill vetoed by Gov. 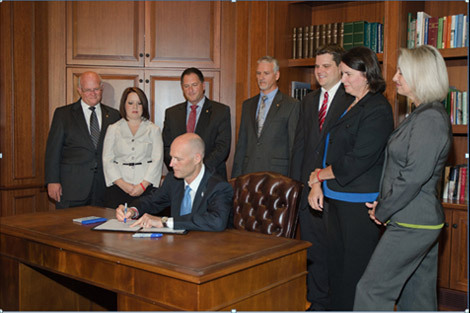 Crist that would have severely restricted the rights of citizens to amend the state constitution. 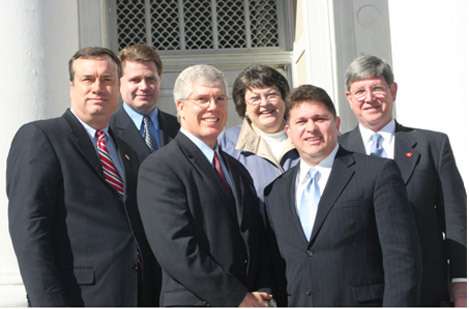 The governor vetoed the bill on June 26, 2007. Led hundreds of supporters to send emails to Gov. 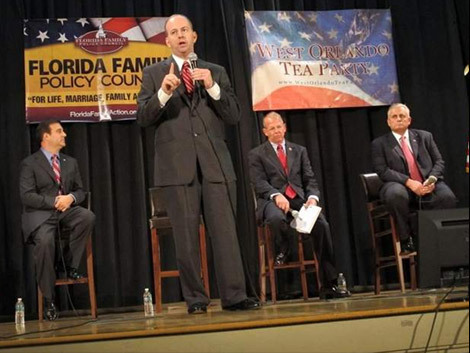 Crist to oppose the expansion of gambling in Florida. 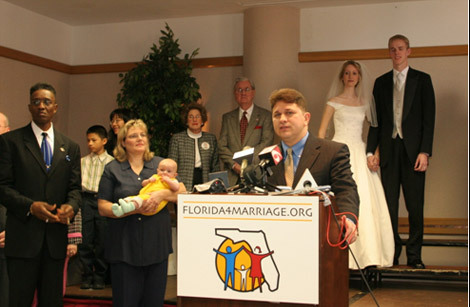 Led a statewide coalition of pro-family groups, pastors and churches and grassroots activists in the ongoing effort to educate Floridians on why marriage should be the union of one man and one woman only. 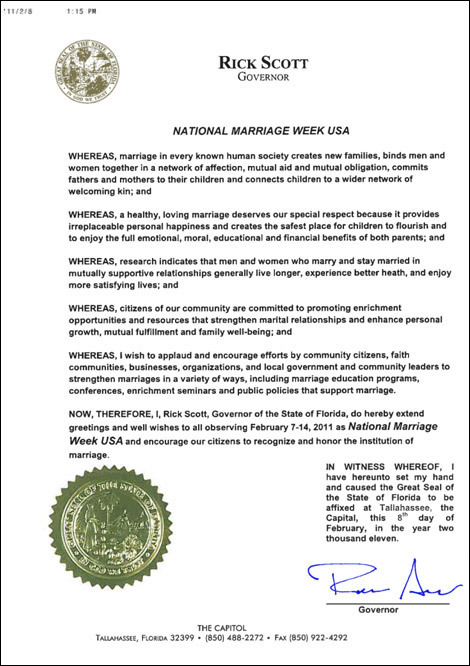 Launched “Truth Project” small groups in Florida and promoted the program statewide. Hosted a November Gala dinner in Hollywood Florida to introduce South Florida to our mission. 325 were in attendance with national media present. Sun Sentinel ran a front-page story on the event. 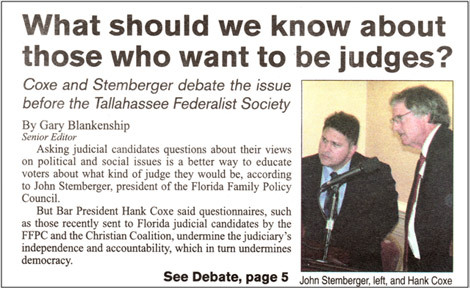 President Stemberger debated Florida Bar President Harry Cox at a Tallahassee Federalists Society meeting on Judicial Voter Guides and the accountability of judges vs the independence of the judciary. 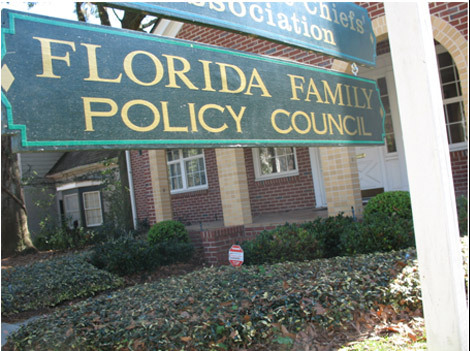 John Stemberger becomes first President and CEO of the Florida Family Policy Council.